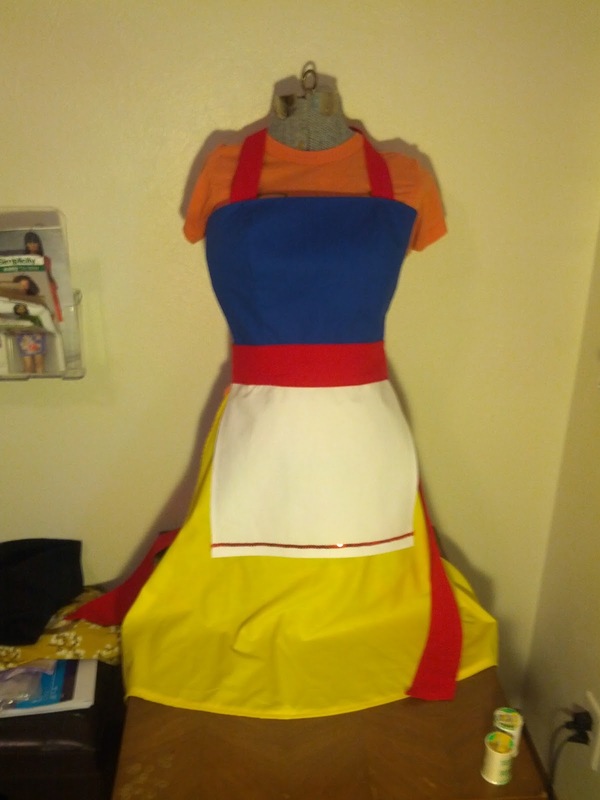 I had thought that a snow white apron would have been just as much a snap to make as my mothers day gift apron. Boy was I wrong. Turns out the sequins were the easiest part and the top was the hardest. Who knew? I was already late for the party of the hostess I was making this for, so I threw it up on my robot form (that's a whole other story for a later date) and if you ask me, it doesn't do the thing justice. 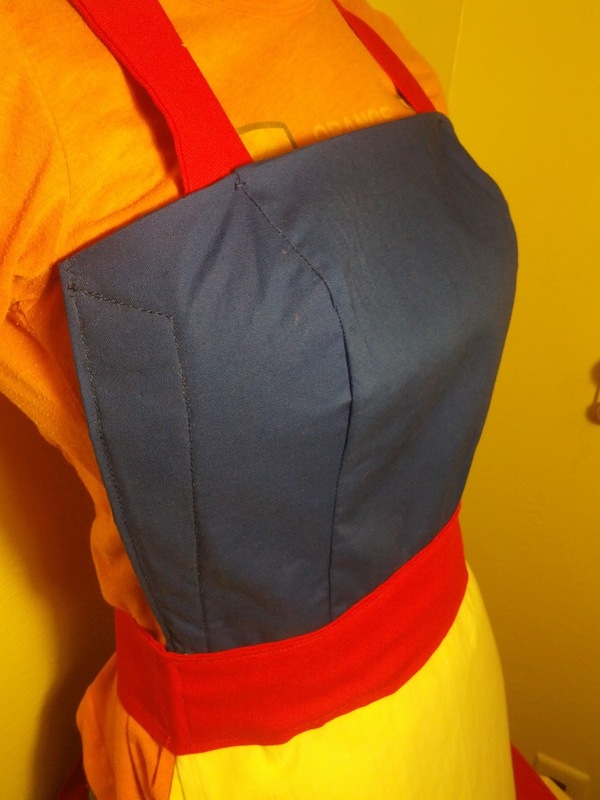 I didn't have an apron pattern so I just kinda made the front of this dress. 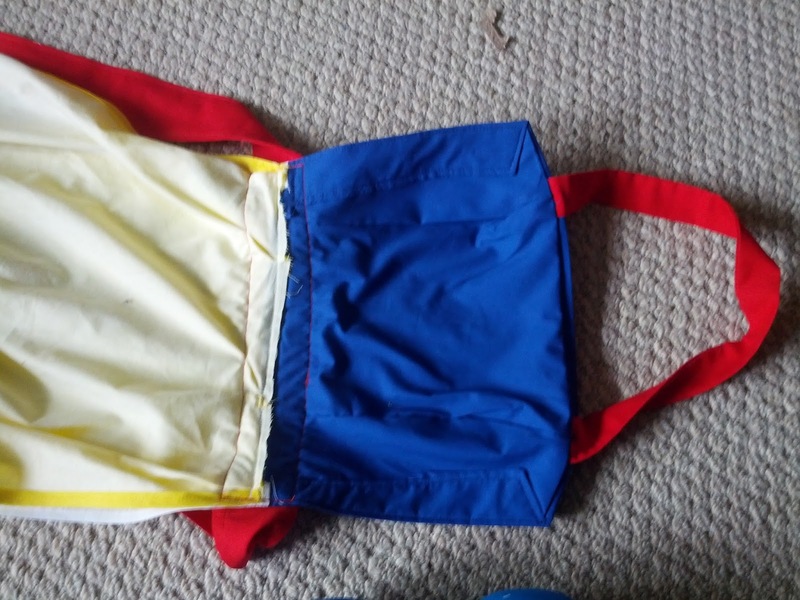 I lined the top and attached the straps before realizing it was way too wide, and should have taken waaay more off the sides. 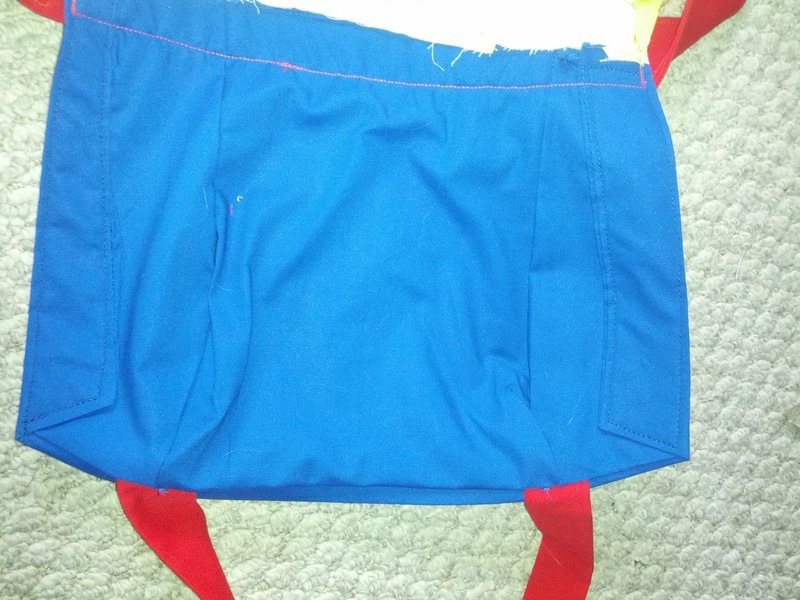 I then just kinda folded the sides in and stitched around the edge. Then the bottom. I interfaced the white because I knew I was going to be sewing on sequins and it just felt right. Ok quick story, I learned how to sew this sequin trim from a grandma who works at Hancock. She told me to set my machine to the width of the sequin, and then zig zag stitch. Which I thought was cute, like I have that setting on my base machine. So I did a test run, I set it to the largest zig zag I could and went for it. I went my normal speed and did biff it on a few, and stabbed through the edges. I then figured when I do the real thing I will just slow down. BAD IDEA. When I went slow, it gave the trim time to slide around. 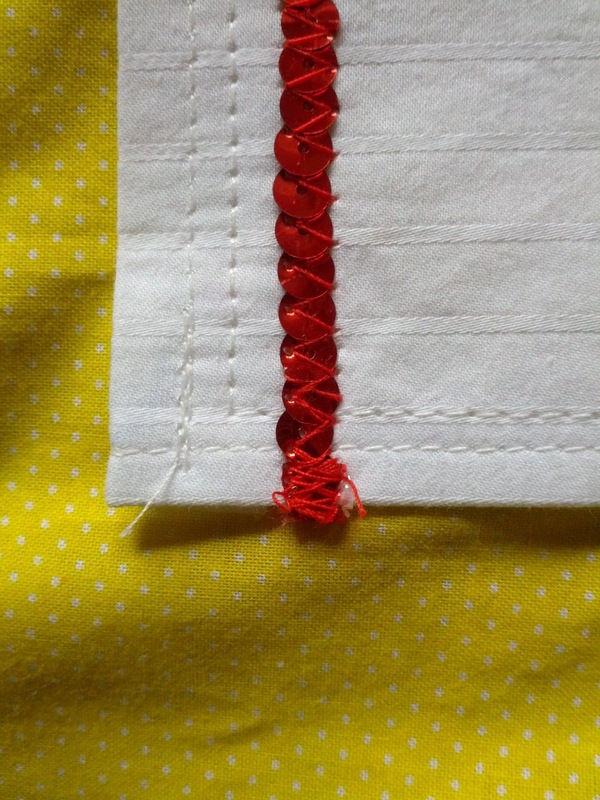 I lined up the edge of my presser foot to the line of white stitching already on the white part of the apron. I kept the middle of the trim lined up in the middle of the presser foot, and like I said before, just hold your breath and go for it full speed. I ended by just going back and forth a bunch of times. The red tie is where I feel I really should have thought ahead more. 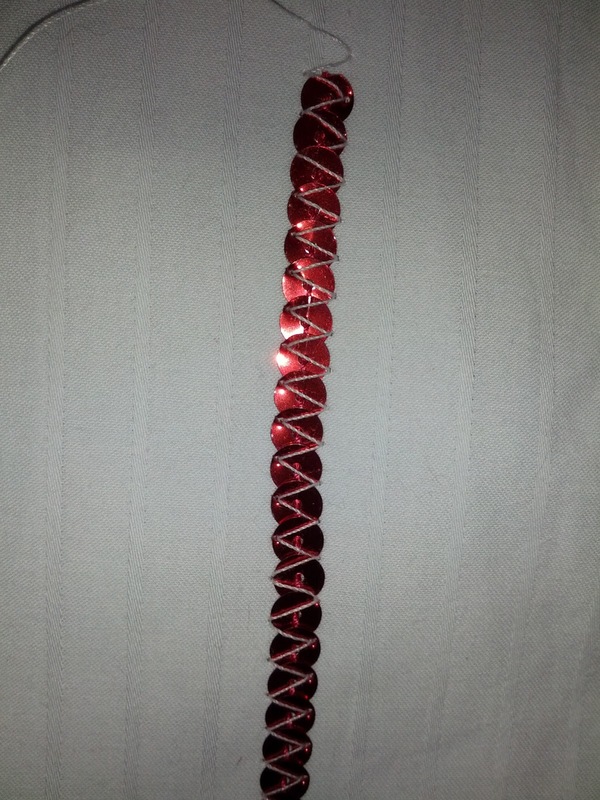 I just made a long ribbon and stitched it on the front. 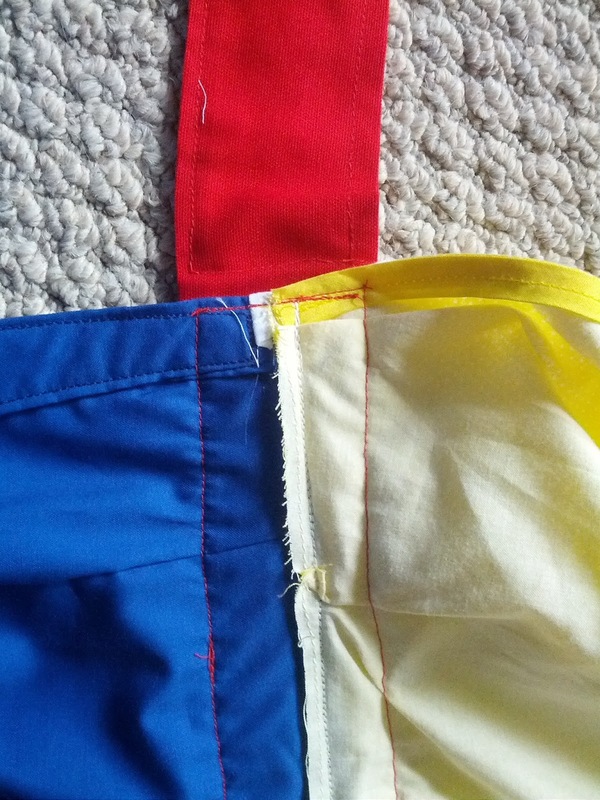 The top is lined, but the red sash isn't also on the inside. Oops! Either way, it totally rules.